Collagen supplement is widely practised in the quest of beauty. 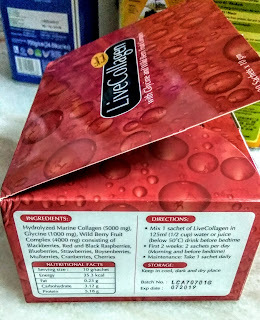 Having had the chance to experience its power, I'm very lucky to be blessed with Live Collagen by Dynamic Nutrition. I have previously tested Snow Crystal and Celebeaute Tx with good effects. Dynamic Nutrition has a team of dedicated researchers producing a wide range of supplements based on whole food. This is because it is the actual proportion contained in the whole food that provides the benefit, instead of the individual components. 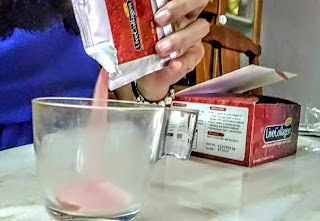 The concept of phytonutrient is the core of their research. 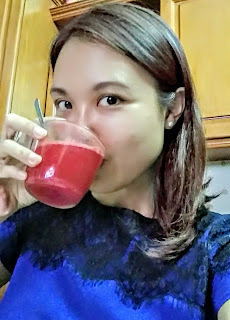 I have written about phytonutrient, as well as the various certification for supplement production in my previous post here. 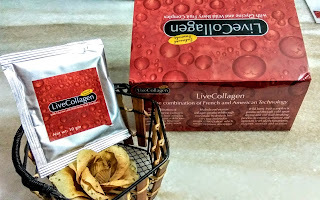 Live Collagen is formulated and manufactured in collaboration with two well-known French and American wellness companies (link at the end of post). It also complies to GMP, HACCP and MesTI which are important governing bodies in Malaysia that ensures safe and clean food products. Read more in the Malay language here. 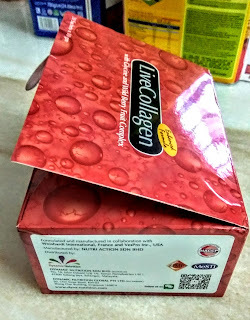 Collagen is an important protein produced by the body to maintain skin elasticity and youthfulness, as well as promoting growth and healing. With age, there's less production by the body. 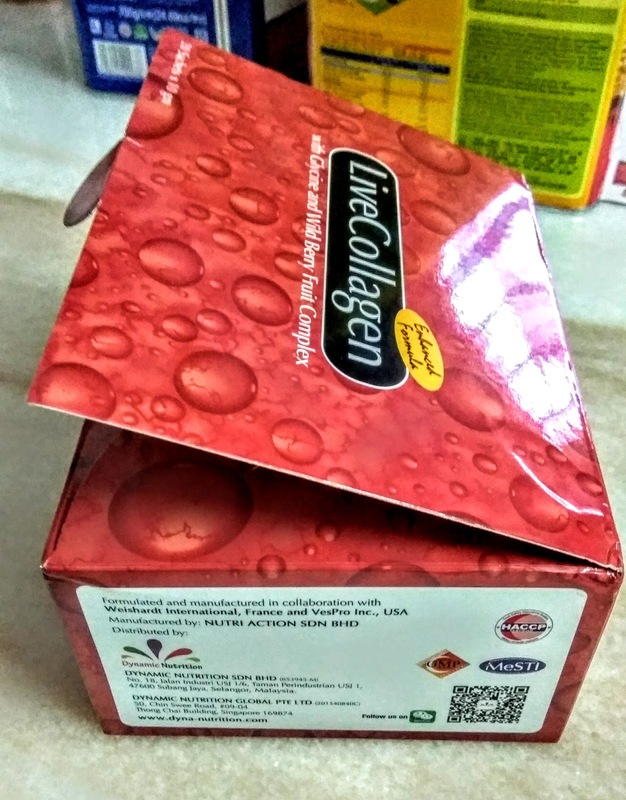 Marine collagen is fully derived from fish skin or scales. It has small particle sizes that is readily absorbed by the bowels, up to 1.5 times more efficiently than other types such as bovine collagen. It is also rich on glycine and proline which has antioxidant and antiinflammatory properties. 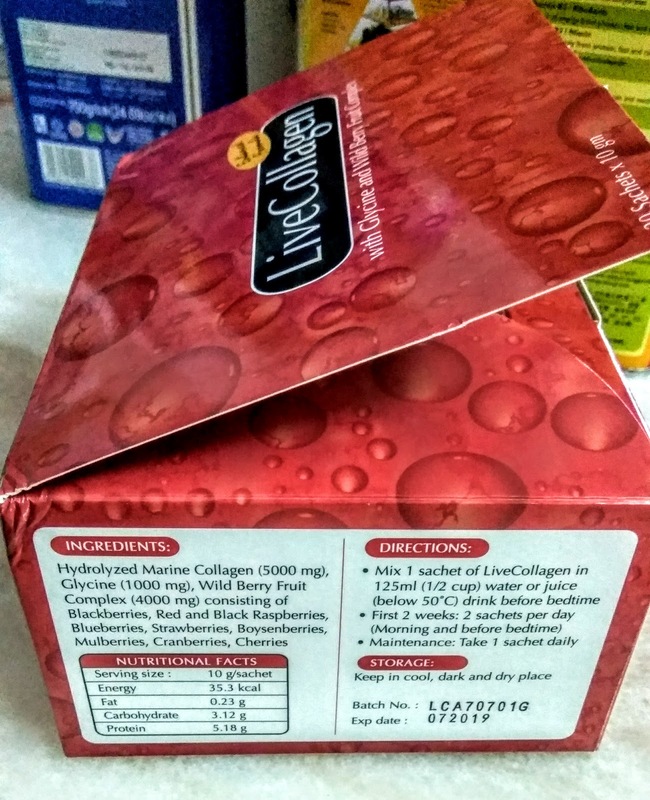 Wild Berries Complex consisting Blackberries, Red & Black Raspberries, Blueberries, Strawberries, Boysenberries, Mulberries, Cranberries and Cherries. 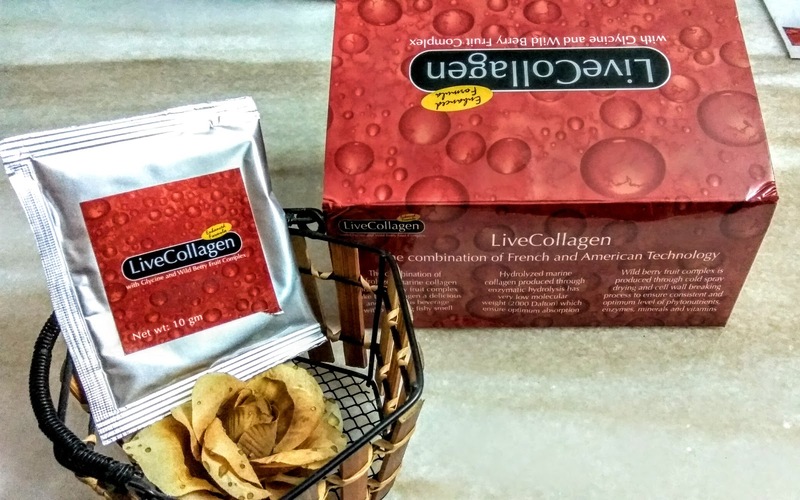 This gives the deep red color of the drink because Live Collagen does not contain additional artificial coloring or preservatives. 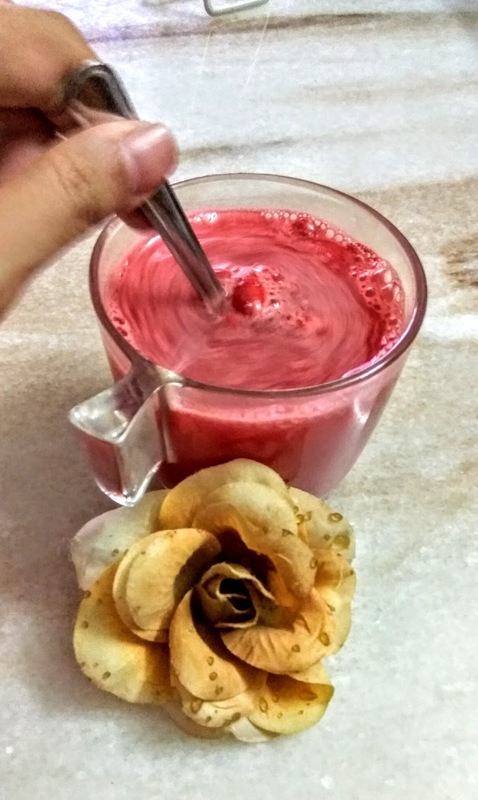 These berries are powerful antioxidants which were illustrated in my previous post. Not only are they good for the skin, they are also great too relieve eye strains. 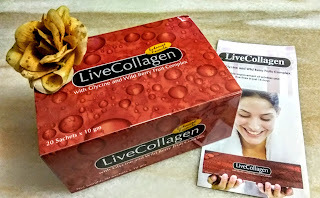 I'm working towards radiant and supple skin with Live Collagen. What about you? Disclaimer: the opinion given is merely a personal experience and does not constitute formal medical advice. Please seek your medical professional's advice before any complementary therapy. Always ask for product certification before proceeding with treatment and stop if side effect ensues.